Test your jumping skills on this map! You need to jump a lot to complete each new level. 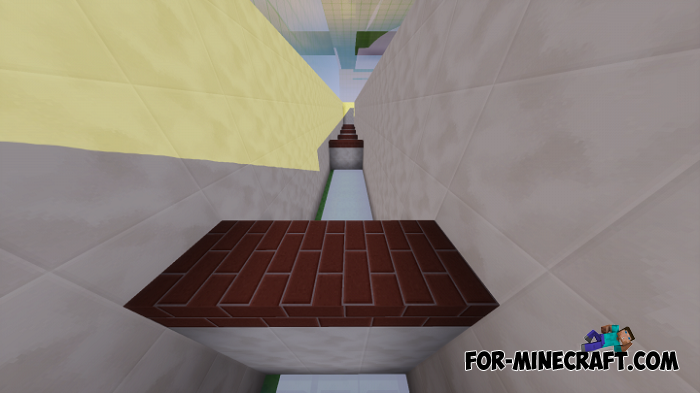 This type of maps refers to parkour, weak and inexperienced players are unlikely to go through all levels, because there are big differences between keyboard control and the use of touch buttons. Your patience ends after 10 failed attempts in most cases. 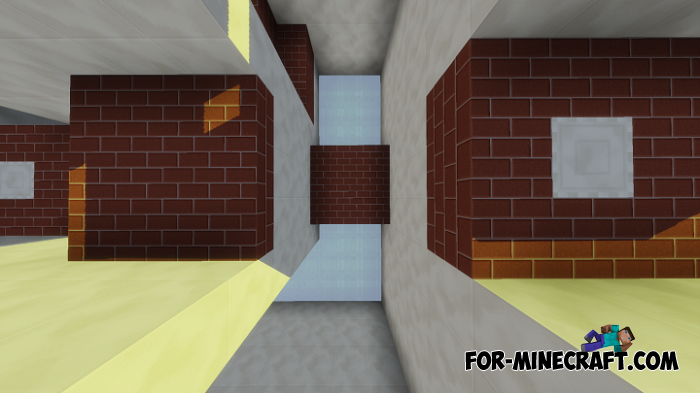 Take into account every jump and soon you will learn how to correctly jump and master the parkour skill. You do not have a second chance if you fall down (or rather you start the level anew). The signs will teach you how to save and restart the game. Master's Furniture mod (Minecraft PE 1.2)We continue to publish interesting furniture mods and this time you will get 27 cool items for your house! A set of chairs and tables, furniture for the kitchen.. Better Skills mod (Minecraft PE 1.0)Better Skills mod adds a RPG skill system to Minecraft PE. While the character is doing something, you become more experienced and raise your level..